Best Dog Training Milford, New Haven, Waterbury areas in Southern Connecticut/Shoreline! Welcome! Our names are Richard and Vicki Horowitz and we are the Bark Busters dog trainers for this area. You may have seen us on WTNH News 8 on our monthly TV segments where we discuss dog related topics. If not, know that we have been doing these segments since 2007. We are passionate about providing quality and humane dog training techniques, resulting in well-behaved dogs. Right now your dog might not be listening to you. Not because he doesn’t want to, but because he doesn’t understand you. We will teach you how to communicate with your dog using your voice tones and body language. You will find it to be simple and fun and your dog will be relieved he no longer has to try and be in control. Most of our clients see amazing results after the first session. 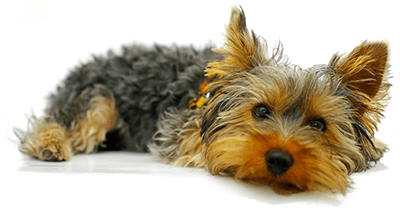 If you reinforce our methods 20-30 minutes a day, you will have a well-trained dog in no time. Do understand that having a dog means rules and your leadership must be maintained for their lifetime. Love your dog but not his behaviors? Let Bark Busters Southern of Connecticut help! Why Choose Bark Busters Southern of Connecticut? We have been pet owners who have loved pets since we were "kids." As dog owners for well over thirty years, our pets have always been special family members who bring joy and happiness to our home and those around them. We have a monthly TV segment on WTNH News 8 that educates dog owners and the community about dog related topics. We have been Bark Busters dog trainers since 2006, and as Master dog trainers, we have seen virtually every dog behavioral issue that exists. 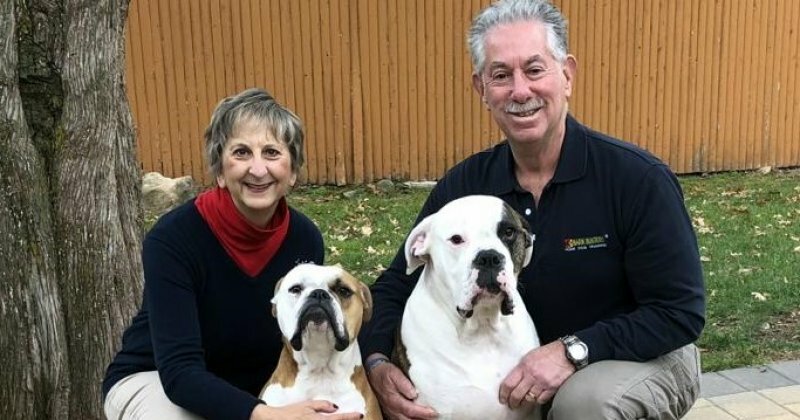 We have successfully trained thousands of dogs throughout Southern Connecticut, so we know the Bark Busters dog training methods work. Our training begins in your home where the problems occur; the dog is less stressed and learns best. Our mission is to provide the means for all "family members" to live "peacefully" together. This will be accomplished through a unique dog training system that combines voice commands and body language to ensure good dog obedience. We absolutely love Richard and Vicki! From the first day we began training with them, we saw improvements in our dog. And with each training session, we see more and more improvements we never thought we would. We are very thankful and happy we chose Barkbusters. I highly recommend this company to anyone searching for the perfect dog trainer. Richard was amazing in explaining the training techniques, especially to a new dog owner like me. Me and my dog loved the training experience and found it interesting and enjoyable. Keep up the excellent job. Richard and Vicki and fantastic! Training was very helpful. The trainer, Richard, was attentive. He listened to what we were interested in and showed us ways to deal with certain problems. I was very impressed with how fast Dixie was catching on to the command with a single correction word...speaking dog. I wish I knew about Bark Busters when we first got Dixie instead of paying for other training and having nothing happening. Aggression even got worse. Now only one lesson with Bark Busters and I can already see a difference. Richard and Vicki are fabulous. Daisy responded so well right from the start and is already so well behaved and responsive to us. The techniques that they use are kind, gentle and effective! We couldn't be happier and are looking forward to our next session! Incredible! We were having issues adjusting Remy with our newborn son. Vicki and Richard solved our issues in the first session. Remy is a more obedient, but also a happier dog! They are very thorough in their training and committed to helping owners and their pets succeed. Richard and Vicky have done such a great job! We have seen such huge differences in Macy already! Richard was excellent! During our first session, I saw Aggie responding in a way I didn't think she could. I already feel much less anxiety knowing that we have a plan and an end goal. Richard is gentle yet firm and I am very excited to continue working together to take care of the issues I have been having with my dogs.